Birthday’s Off the (Diamond) Chain!!! 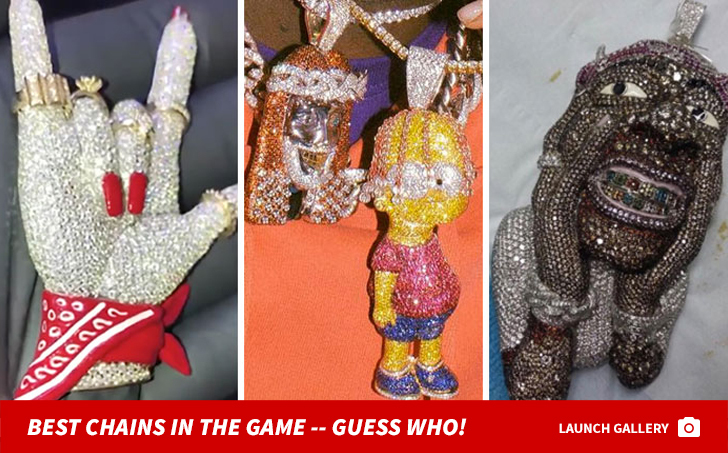 Kid Cudi turned 35 a little over a month ago but dude’s still turning up in style … with this INSANE custom diamond chain. We’re told the rapper commissioned celebrity jeweler Ben Baller to get it done as a birthday gift to himself. It cost Cudi a whopping $275k!!! 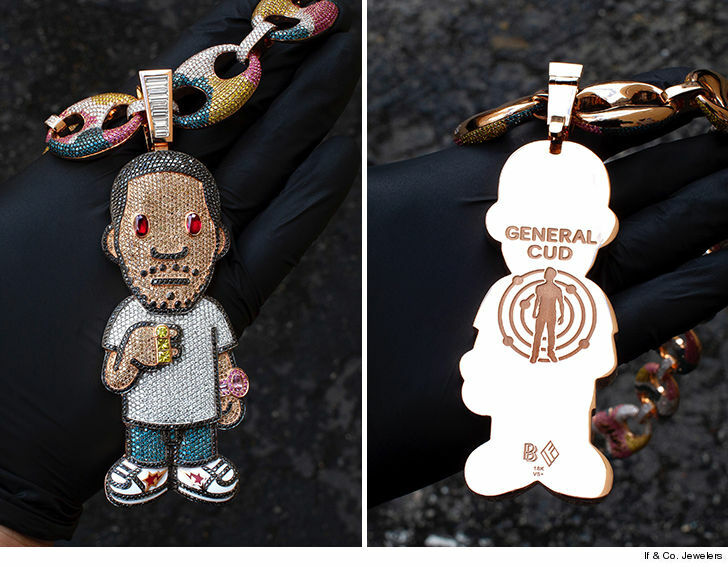 The BAPE camo diamond chain carries a sick colorful pendant … including black diamonds to make out Cudi’s hair and white diamonds for Cudi’s t-shirt. The pendant’s also littered with Cognac diamonds for Cudi’s face, canary diamonds for Cudi’s rings and blue diamonds for the pants. The “stoner” eyeballs are made up of rubies. The piece was designed by Japanese fashion designer Nigo, who used to own the popular BAPE clothing line. Kid Cudi has been featured in some of their collections over the years. Solid way to celebrate turning 35. Remember … Cudi broke bread with Kanye West, Pete Davidson and Oscar-nominated actor Timothee Chalamet back in January in Malibu to ring in 35. Now, he can keep celebrating in style.